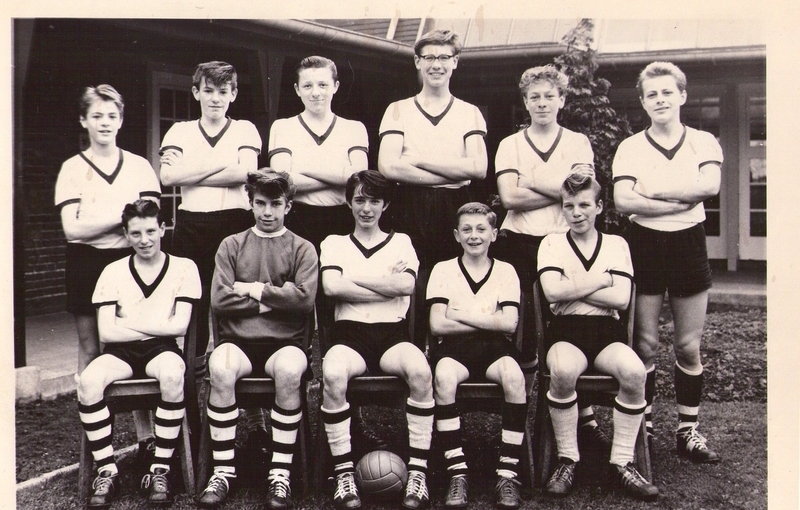 Killamarsh Secondary School Football Team 1963. See note below. Photo courtesy of Keith Dopson. Back row: Terry (Dogga) Booth, Graham (Bill) Marsden, Stephen Tongue, John Jennings, Tony Cawkwell, David (Dallas) Hallam. Front row: Arnie Chapman, Terry Adair, Keith Dopson, Steve Cartwright, Philip (King) Wheelhouse. Note: Keith Dopson who supplied the photograph is asking if anyone can tell him where the nick names (in brackets) came from. Perhaps the lads with nick names can tell us. Re” Bill” Marsden nickname. Mick Barnes who lived next door to Bill and for some reason lost in time called all Grahams “Bill”. I worked with Graham Waite he was also nicknamed “Bill” by Mick. It just came to me when I was looking at the photo, that some had nicknames, I didn’t even know Dallas was called David until last year and yes it is strange that some of the Grahams in the village were called Bill, maybe someone will let us know. Perhaps David Hallam,my cousin,could his nickname be a spinoff from his elder brothers nickname dollars. We lost Norman,also known as Nogga,a few years ago ,still missed by a lot of us. Ron M.
I think Ron..eyup cuz…is right in a way,i believe David was called “Dollars” by some and “Dallas” by others,maybe it was easier to say as they are very similar ? ?…i was talking to his wife only last week, and, if you wished to ask him yourself they have a guitar shop at Dinnington..called, DJ HALLAMS GUITAR CELLAR…i knew/know most of the people in the photo (8) since around 1954/55 when i came to live on the “White City”,always knew Graham as “Bill”,and Phil Wheelhouse as “King”..